Each class consists of all sorts of dogs. Dachshunds to Great Danes, pedigree pooches to mongrels and mutts. There is a separate class for Puppies that runs on a Sunday. Your instructor will guide you through your lesson and show you how to have a truly fulfilling relationship with your dog. 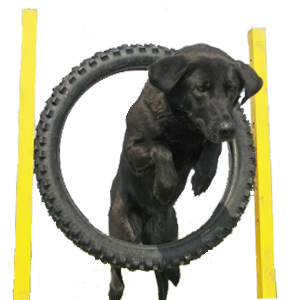 Control, searches, agility: you name it, Lynne Davies Dog Training will cover it in their group classes. The classes run on Saturdays and Sundays and are a nice manageable size keeping waiting for your turn to a minimum and each class lasts for 1 hour. Junior Instructors and Assistants are on hand to help out if anyone struggles or just needs a little extra guidance. Training outside is the order of the day, after all, you are surrounded by the sights and smells that your dog encounters in the real world. 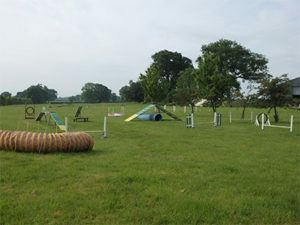 The training field is located near Stewkley, South of Milton Keynes and is surrounded by stock fencing with plenty of on site parking. 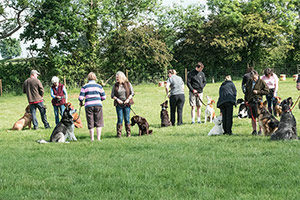 The group sessions are friendly and informative, providing the best quality dog training available. After your class you are welcome to stay for a cup of tea or coffee and a biscuit to ask any questions or just socialise with your class mates. Classes run on Saturdays and Sundays at Stewkley. Please contact Lynne Davies Dog Training for current classes that are booking now.